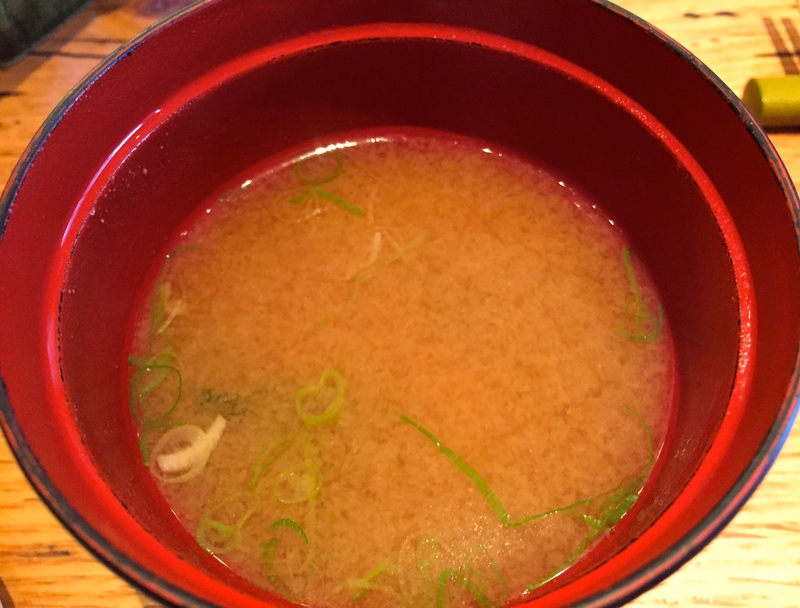 Wako, a traditional Japanese restaurant in the Inner Richmond of San Francisco, has been on my go to list for quite some time now. Wako is a small restaurant with just a few tables and the seating at the chef’s counter. However if you want to sit at the chef’s counter you must order one of their omakase menus. Their entire menu sounded delicious from cold/hot appetizers, bincho (grilled) items, and all of their nigiri selections. We decided to mostly focus on their nigiri offerings and ordered almost everything on the list. 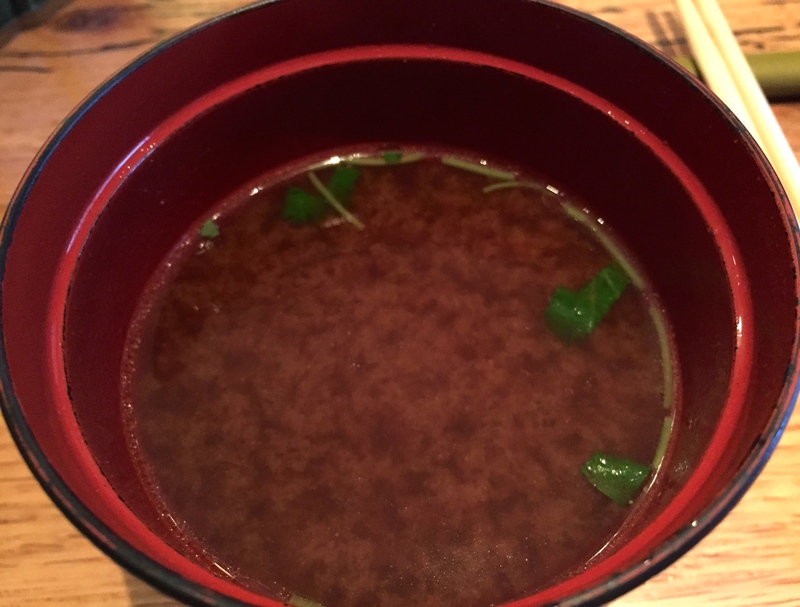 We started off the meal with two different soups: miso soup with tofu and wakame (seaweed) and akadashi, a red miso soup with sesame tofu, nameko (a small type of mushroom), and mitsuba (a Japanese herb). Goma Dofu: Sesame Tofu (8/10). Next, we had goma dofu, a traditional Japanese dish that I’ve actually never tasted! I was curious to try it because the pastry chef at my work made a sweet version of this traditional dish as one of her desserts. Goma dofu is sesame tofu so the flavor has a slight tannic taste with the same soft consistency of silken tofu and was topped with lots of salty ikura (salmon roe). Now onto the main star of the show, the nigiri sushi. 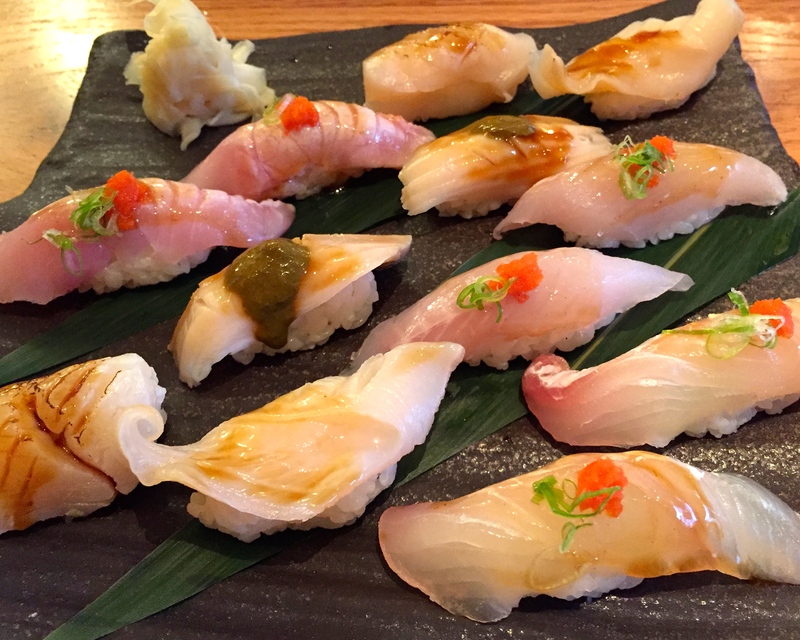 Top to Bottom: Kinmedai/Golden Eye Snapper Nigiri (8.5-9/10), Hotate/Scallop Nigiri (9/10), Awabi/Abalone Nigiri (7.5-8/10), Mirugai/Giant Clam Nigiri (8/10), Ainame/Greenling Nigiri (8/10), and Hirame/Halibut Nigiri (8.5/10). Maguro/Blue Fin Tuna Nigiri with Jalapeño (8/10), Sake/Salmon Nigiri with Yuzu (8.5-9/10), and Amaebi/Sweet Shrimp Nigiri (9/10). 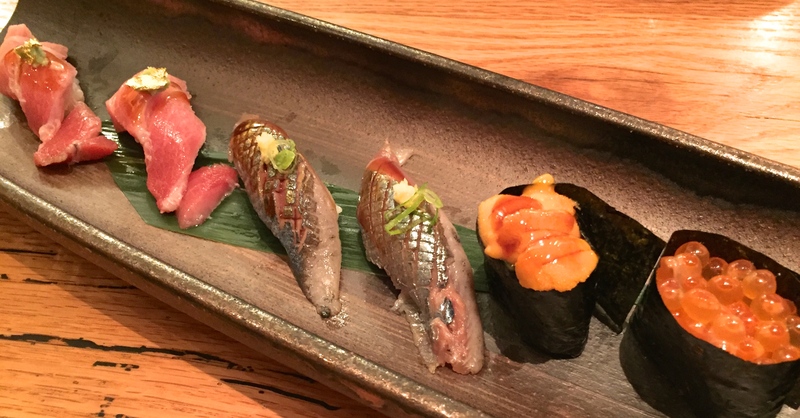 Toro/Blue Fin Tuna Belly Nigiri (9/10), Sanma/Pike Mackeral Nigiri (8/10), Uni/Sea Urchin Nigiri (9/10), and Ikura/Salmon Roe Nigiri (8/10). Wagyu Beef Nigiri with Fried Garlic (9/10). 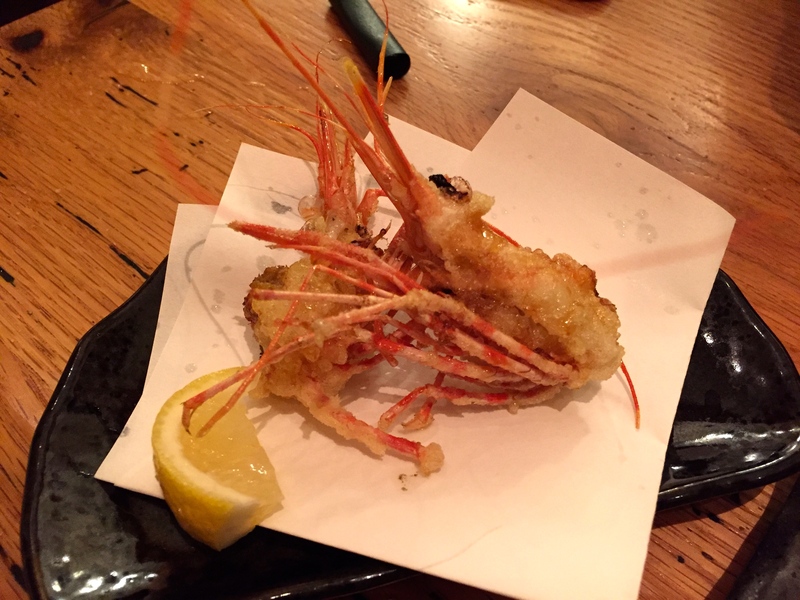 Wako had some of the highest quality fish I’ve ever tasted, right up there with Kusakabe. 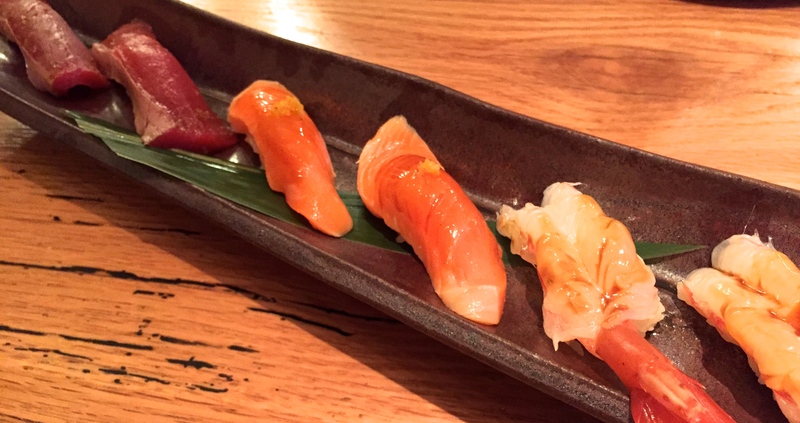 Each nigiri was expertly crafted and seasoned with whatever component the chef believed was necessary. Since the products they use are so impeccable, not much is needed to truly showcase their quality and integrity. Each bite was an explosion of flavor, completely different in taste and texture. All the nigiri sushi I tried were outstanding but a few of my favorite were the kinmedai (golden eye snapper), hotate (scallop), amaebi (sweet shrimp), toro (blue fin tuna belly), uni (sea urchin), and wagyu beef. 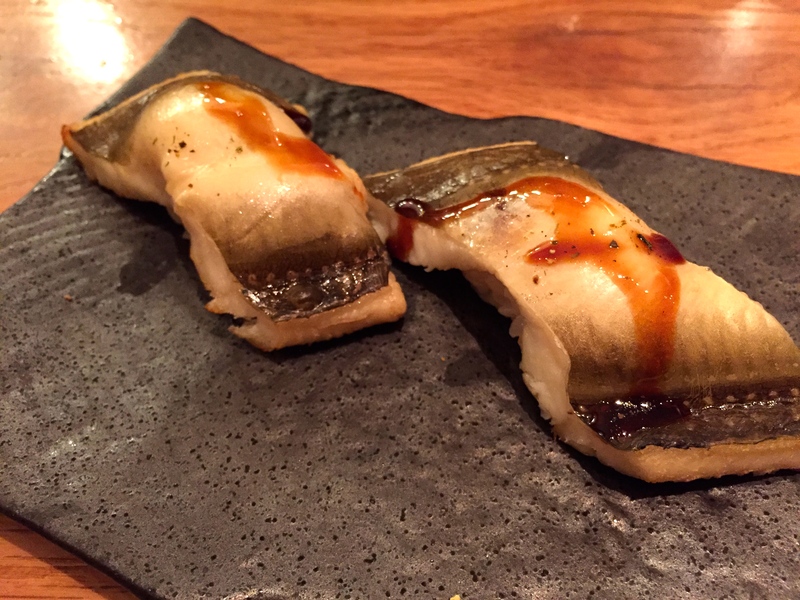 I even ordered a few types of seafood that I’ve never tried before such as sanma (pike mackerel), a seasonal fish that melted in my mouth and wasn’t as strong flavored as normal mackerel, and mirugai (giant clam or geoduck) that had a slight crunch but in a good way. For my next visit to Wako I’ll definitely order their omakase menu which looked phenomenal or try some of their cold/hot appetizers and bincho items. My dinner at Wako was amazing so my rating is a 8.5-9/10. 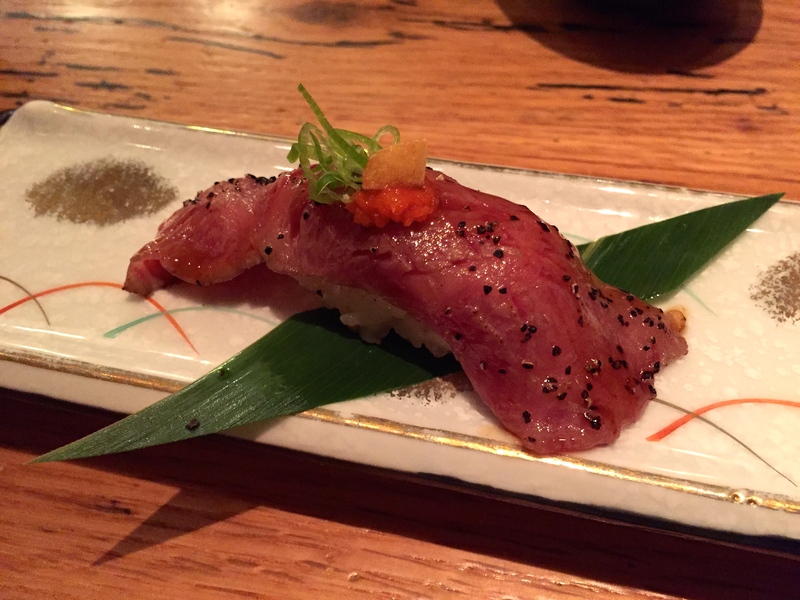 Pingback: Review: Omakase. – Sale, Pepe, Amore.